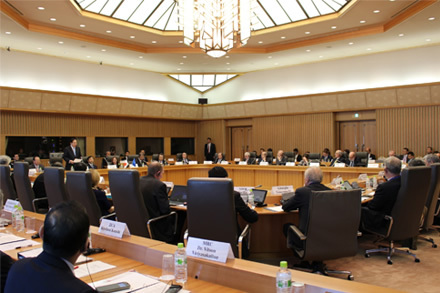 Mr. Shigeo Kitamura, State Minister of the Environment, attended "The 23rd Meeting of the United Nation Secretary General's Advisory Board on Water and Sanitation (UNSGAB)" which was held in the presence of the Crown Prince Naruhito. State Minister Kitamura remarked on the significance of the restoration of sound water cycle in the aspect of environmental conservation. 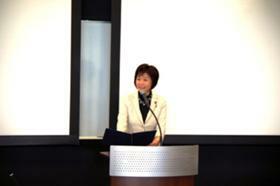 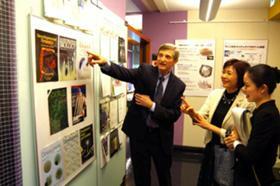 He also stated that Japan will actively contribute to solve the global water problems. State Minister Kitamura remarked on the significance of Japan's contribution (picture provided by the Ministry of Land, Infrastructure, Transport and Tourism). A scene from the meeting (picture provided by the Ministry of Land, Infrastructure, Transport and Tourism). 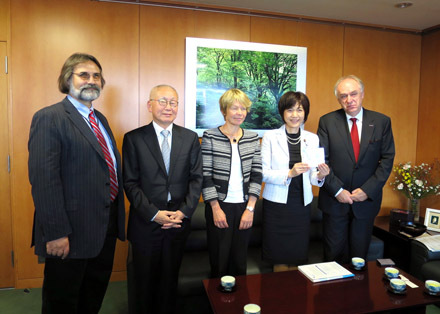 Parliamentary Vice-Minister, Ms. Takahashi, received a visit from Mr. Adnan Z. Amin, the Director- General of the International Renewable Energy Agency (IRENA) and members of IRENA. 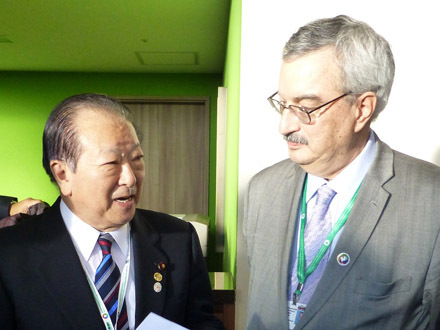 He explained IRENA's activities to her and they also exchanged views such as further implementation of the renewable energy in future and support for low carbonization emissions for small island developing states. 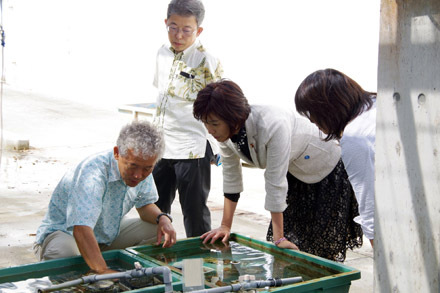 Ms. Hinako Takahashi, Parliamentary Vice-Minister of the Environment delivered opening remarks at the 29th General Meeting of the International Coral Reef Initiative (ICRI), which was held at the Okinawa Institute of Science and Technology Graduate University (OIST) in Onna Village, Okinawa. 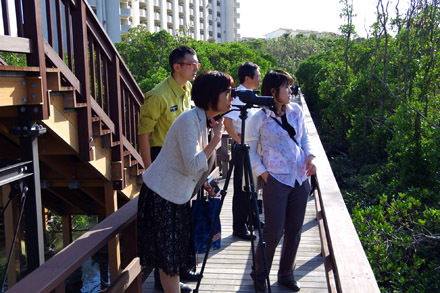 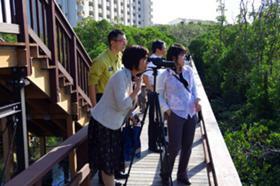 She also visited several sites including the Manko National Wildlife Protection Area and the Manko Waterbird and Wetland Center. 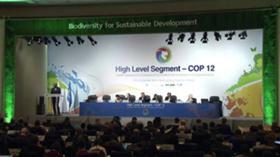 Mr. Shigeo Kitamura, State Minister of the Environment, attended a High Level Segment of the CBD-COP12 held on Pyeongchang, Republic of Korea. 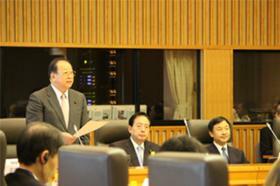 State Minister held some Bi-lateral meetings with H.E. 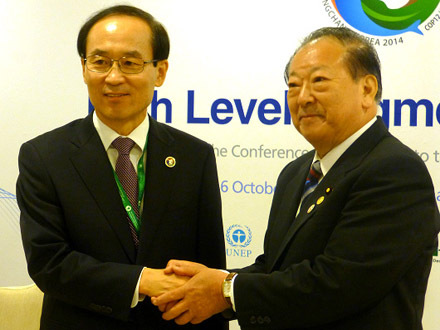 Yoon Seong-kyu, Minister of Environment, Republic of Korea, etc. to strengthen the relationship towards international cooperation in biodiversity field. 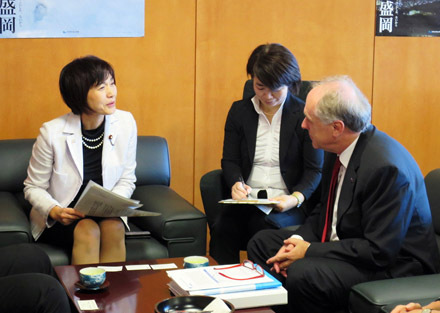 Parliamentary Vice-Minister of the Environment, Ms. Hinako Takahashi received activity reports of IIASA, and exchanged views with Dr. Kabat on future cooperation.